Milton Keynes largest Dog Grooming Salon. I’m the proud owner of Divine Dog GroomersLtd. I have a wealth of knowledge and experience with dogs of all shapes and sizes. I have worked very hard to ensure my team are highly experienced and equally as passionate about our four legged friends as I am. Based on Crownhill Industrial Estate we have ample space for parking. Relaxing waiting area, free wifi and drink including viewing whilst your dog is groomed! 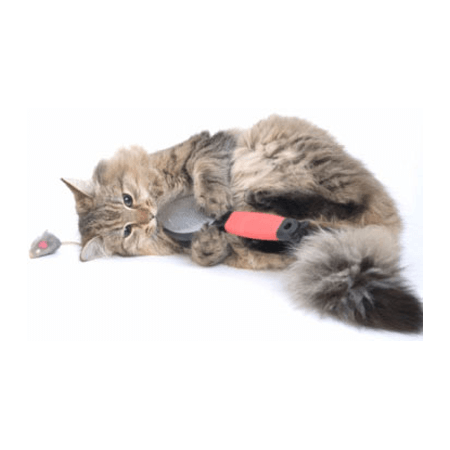 We are experienced and qualified in cat grooming. We hold one cat grooming day once a month normally on a Sunday. We do take a non-refundable deposit for this. Please call the salon for further details. The coming year see’s us heading into our 5th year of being open. Christmas was exceptionally busy for us, but sadly we had a few customers that for whatever reason let us down and didn’t turn up for their appointment. Now, I fully understand that sometimes emergencies happen and life generally does get in the way but from my point of view I still have rent, staff, bills etc to pay it is very frustrating when people don’t turn up! If people had let me know I could have filled those appointments very quickly, but when we have to chase people to see if they are coming in this adds extra pressure on to our already busy day. If for any reason you can not make your appointment please can you let us know as soon as possible.. For any future offenders, I’m afraid there will now be a no-show fee of half the price of the groom which will be payable before any future appointments can be given. 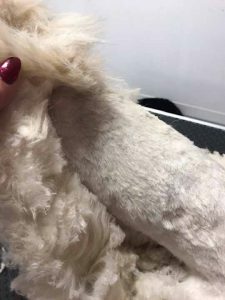 This is not a decision I’ve taken lightly, however, I see no other way around it..
We are seeing an increase in matted dogs coming in. As professional’s we will always do what is the most humane thing for your dog, we will never just ‘clip/scalp/ make you dog bald’ or any other phrase that we get told if we don’t have too. We understand that matting does happen, we never ask for a reason why it’s happened because at the end of the day our priority is to make your dog more comfortable. 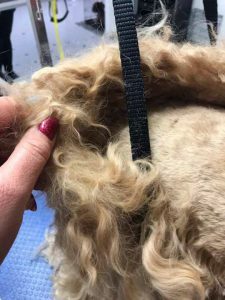 Matted dogs do take us a lot longer to do, they also put increased pressure on all of our equipment so from January 2019 there will be an increase in matted dogs. This will be discussed with you at your consultation before you leave the premises. I wanted to explain in the simplest terms possible how dangerous it is when your Dogs coat becomes matted. Matted coats can cause a variety of skin and health problems. 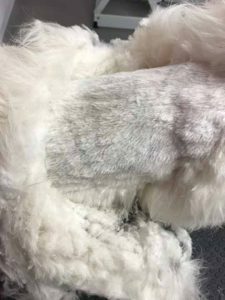 Matted fur does not allow the air to circulate to the skin, which can lead to hot spots, bacterial and fungal infections. Fleas, ticks, maggots and other parasites may be lurking in the coat causing further skin problems. Matted fur also pulls and binds, causing pain to your pet when they move or lay on the mats. The skin underneath maybe raw and inflamed. 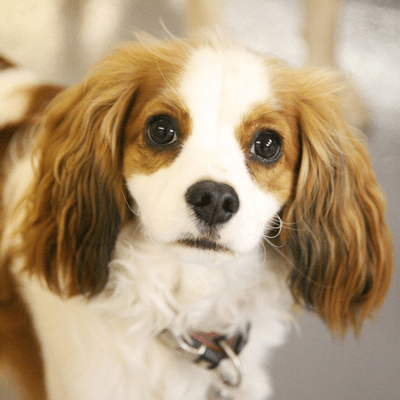 Matted coats will not dry properly which can also lead to skin infections. Due to matting, your pet’s coat may need to be clipped extremely short and may show signs of skin irritation and sores. Dogs that have not been groomed regularly may become stressed and find the grooming session painful. It is our goal to make your pet’s grooming experience as stress-free as possible. So yes, we do have to ‘shave down’ the Dogs coat. This is a short clip, removing all the matting. It is unfeasible to de-mat/brush out the coat as this would cause excessive pain and suffering. We will be happy to show you how to care for your pet’s coat for the future. There is a strong chance that your pet’s skin will become more irritated during the clipping process. Due to the mats being tight against the skin, the only way of removing them is to use a short blade to clip between the skin and mats he/she maybe nicked/cut because We must work so closely to the skin. We are very careful, but the possibility of injury is there, and you need to be aware of this and we will only go ahead when you as the client has given us permission. We will strongly recommend you come back to see us 4 – 5 weeks after for a bath, brush and tidy up. Earlier in 2018, we had to go VAT registered.. on a good note, this was a positive thing for me as a business owner as it shows growth in the company, however for the last 7 months I’ve had to swallow the fact that I’m not putting VAT on any of our prices. I will now have to review all prices across the board from 2019, this Include cat grooming too. I do not intend to put the prices up by 20% but as a business now I’m technically downgrading all of our services because of paying VAT.. it’s extremely frustrating for me but I really do not have any choice. A question we get asked frequently is about dog trainers, We do work very closely with 3 local trainers and with their guidance we have had some big success stories with a few customers that for one reason or another hate being groomed. All of these trainers use positive reinforcement training for your dog, they cover sessions for dogs of all shapes and sizes, young and old, from all different backgrounds requiring all different needs. Me and my Dottie completed our puppy training classes with Zoe. We have great fun and I had a very tired puppy at the end of the evening! I also recently attended a Fear of Fireworks Dog seminar with Zoe and Jeni. These ladies really do know their stuff. We are currently working very slowly with Jeni and a gorgeous boy called Leo. You can follow Leo’s story at www.1dogatatimerescue.org it really is a tear jerker so have your tissues ready. I personally have taken a huge shine to Leo, his confidence is growing n his visits so quickly! Check out their website and Facebook pages for details of all the services they offer. These guys really are great. A question I get asked more than nice a week, I’ve been known to get in my car and go find people before now! We are located on Crownhill Industrial Estate. We are off the H5 Portway. You need to turn into Presley way and we are the third turning on the left, under the archway, follow it all the way to the back to the trees and turn left. Some cars do not recognise MK8 0AJ as our postcode, but it is us! In March this year, I was flattered to be invited to a meeting with the British Dog Groomers Association for an application to go on their committee. Coming from a corporate background years ago, I knew how to handle myself in a meeting environment, but, to be sitting in a room with Groomers that you looked up to and had total admiration for was something else! After spending a day with all these fabulous people I was thrilled that they asked me to join. It’s a very exciting time for me and the team over the next few months. Most of you may know I’ve recently undergone quite a big operation on my arm so am currently not able to groom until later this year… it’s very frustrating for me as I’m such a hands-on boss so I’m finding not being able to groom a real struggle… Claire my salon manager is doing a fabulous job at filling my shoes while I’m unable to groom and I’m in the salon as much as I can be to say hello and see your beautiful pets. But currently looking at October?! Before I can return to work fully. Call now on 01908 968770 or 07891 443159 to book a appointment. Fantastic service ! Will definitely be using you again . Prices very good too ! A fantastic place, friendly staffs and extremely reasonable prices. My Labradoodle looks gorgeous, I shall definitely recommend and return. Thanks all. What an amazing salon, Raisin came out looking and smelling lovely. Our first time here, but so impressed, will definitely recommend. Thanks to Sarah and the girls 🙂 Fantastic service and Barney looks wonderful! Thank you. I would not trust anyone else with our dogs and owe so many thanks to Sarah. Bright spacious salon with lovely, friendly staff. Very reasonable prices too. Barney came out looking and smelling gorgeous. We will be back very soon! © Registered Company in England and Wales. 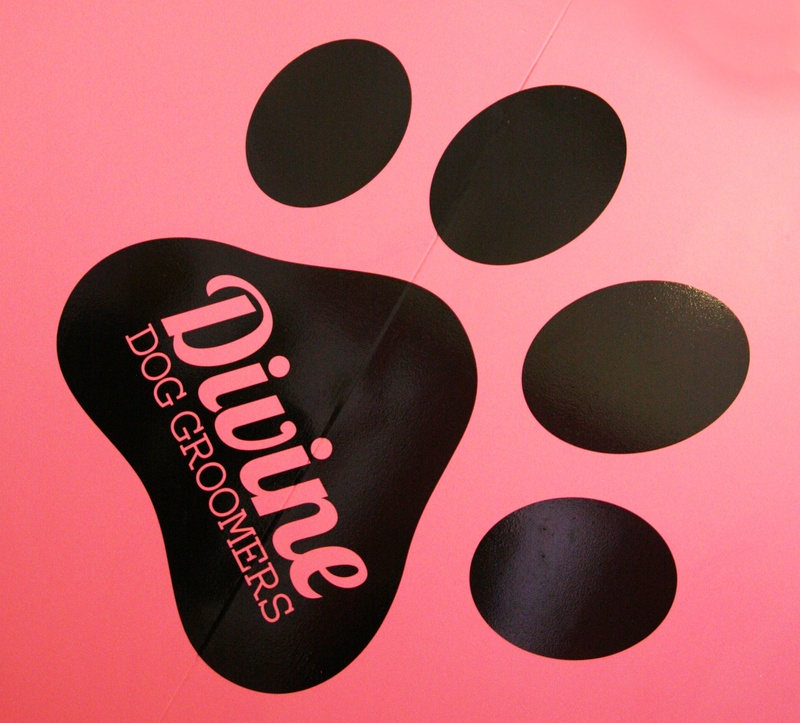 Divine Dog Groomers Ltd Company House Number: 10694646 VAT: GB 266132414 2017 - 2019.